RECORDED LIVE AT CONCAROLINAS 2015! 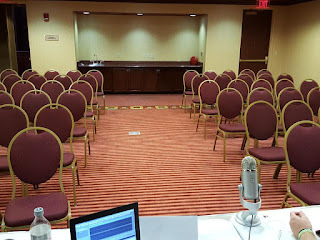 Kent and I met up at ConCarolinas to do a live podcast this year, marveled at the fact that the room was nearly empty and practically gave up hope. Then, as we were getting ready to pack it all in, we were bolstered by the arrival of a single audient (quite possibly by accident), so we decided to do an Epoch Iteration with her. You people did live podcast event with a single audience! Wow,thats the spirit I must say. Keep this positivity always up guys. You people rock!